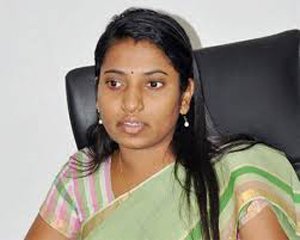 Mangaluru, June 16, 2015: Commissioner of Mangaluru City Corporation Hephsuba Rani Korlapathi has been relieved from her post and will take over as Chief executive officer of Vijayapura zilla panchayat. She handed over charge to MCC joint commissioner Gokuldas Nayak on Monday June 15. Korlapathi was transferred to Vijayapura within six month of taking charge as Commissioner at MCC. Korlapathi gained popularity for her excellent work, and effective administration. She worked with audacity though the corporators and others pressurized in approval of many projects. She deride them by sticking to the rules. Shivamogga city corporation commissioner, A R Ravi has been named as her successor.